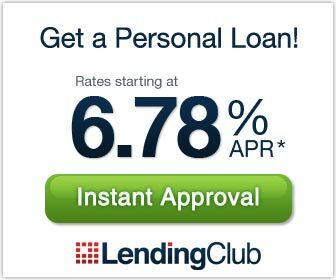 Leading social lending platform provider Lending Club announced early this week that it has lowered the starting interest rate on unsecured personal loans from 7.93% to 6.78% for 36-month term loans (Lending Club also lets borrowers borrow 60-month loans) that could be as much as $25,000. According to Lending Club, the rate cut is “in response to the overall economic environment, and in an effort to continue attracting prime and super-prime borrowers, who typically make decisions based on rates and monthly payments.” The new starting APR for Grade A1 loans, the highest grade loan in Lending Club loans, is nearly half the average starting APR of 13.15% that borrowers with similar credit can get from credit cards. The credit squeeze since the financial crisis started in late 2007 has made borrowing from traditional banks very difficult, even for people with good credit. For many who sought personal loans from everything from home renovation to vacation, wedding, even small business, Lending Club has become a valid alternative to obtain an unsecured loan. The company recently said that in August alone, Lending Club has issued 1,175 loans, totaling $12,021,775 to borrowers, the highest amount of loans in a single month in the company’s history. Borrowers go to LendingClub.com to apply for a loan up to $25,000. Once the application is approved, Lending Club assigns a borrower’s grade, interest rate and APR of the loan, based on the borrower’s credit worthiness. Lending Club lists loans, together with borrower’s basic credit information such as monthly income and credit score, etc., on its website for all potential lenders to review before making funding decisions. Potential lenders choose to fund small fractions ($25 minimum) of hundreds of these loan requests. As borrowers pay back the loans, lenders receive the principal plus interest. 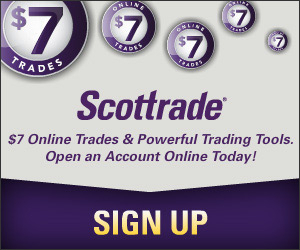 The average return for investors is 9.67%. Lending Club loans are currently not available in IA, ID, IN, ME, MS, NC, ND, NE, or TN. Loans are issued by WebBank of Salt Lake City, Utah (FDIC Cert: 34404, insured since May 15, 1997). To borrow money on Lending Club, a valid bank account and borrower’s social security number are required. If you are shopping for a personal loan, will you consider Lending Club? I recently became a Lending Club borrower to consolidate my debt and pay for my first term of starting school back. So far so good. I love that so many people contributed to my loan (so thankful) and that I can pay it off in 3 years, which doesn’t make me feel “trapped”.